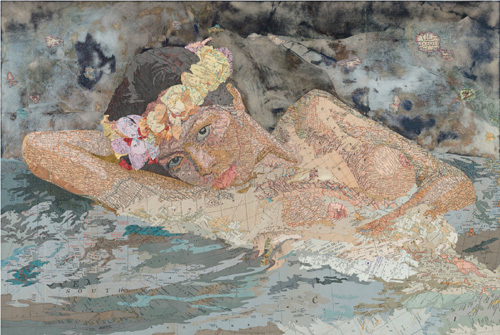 Matthew Cusick currently living in Oak Cliff, Texas is originally from New York City. 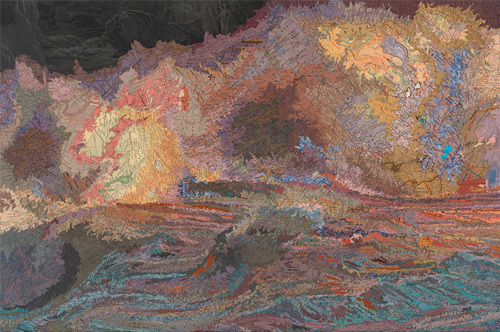 He gained a degree in Bachelor of Fine Arts from The Cooper Union for the Advancement of Science & Art, and in MFA in 2013 from Southern Methodist University, Meadows School of the Arts. 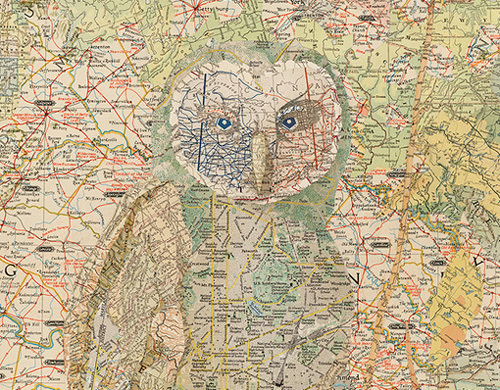 Inspired by topography he creates amazing art pieces that are meticulously pasted together small pieces of vintage recycled roadmaps, nautical and aeronautical charts depicting owl, animals, portraits and landscapes. 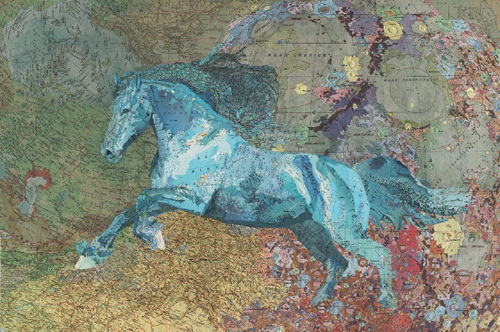 It all started when he received a box full of vintage maps. 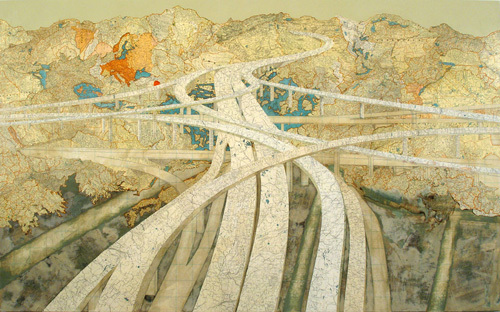 He begun to experiment and found out that maps have all the properties of a brushstroke such as line, density, movement and color. 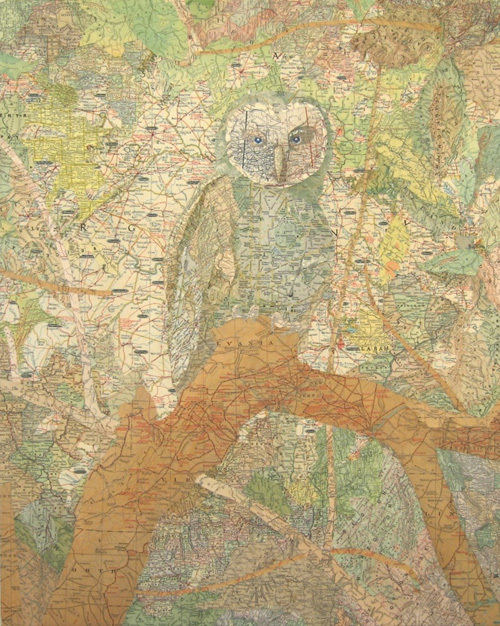 One of the primary subject matters of his work is people and depending on the subject of his work he would have a stash of maps related to that person’s timeline and history. Each piece based on size can take anywhere from 100 to 300 hours to finish. 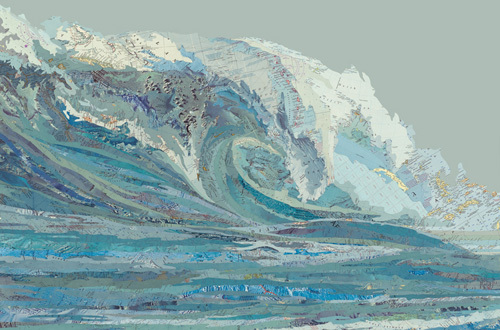 He has participated in solo and group exhibitions in the States and in abroad. 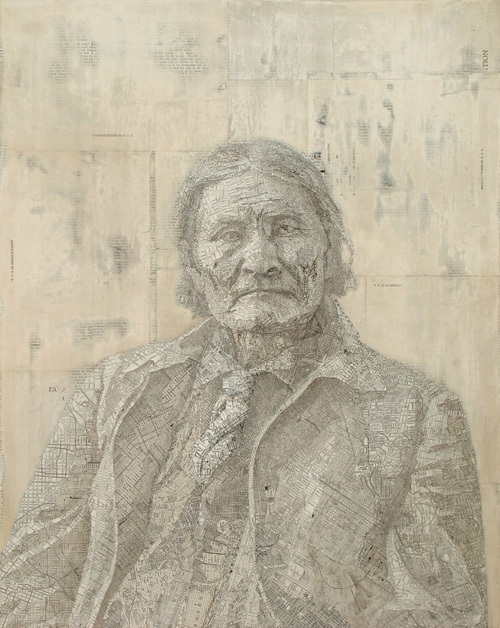 His pieces have been displayed in museums as well as galleries, and featured in The New York Times, The San Francisco Chronicle, Harper’s Magazine and Art In America.Over the years his work has become popular amongst the art enthusiasts, and part of public and private collections including the San Diego Museum of Contemporary Art and the Progressive Art Collection.